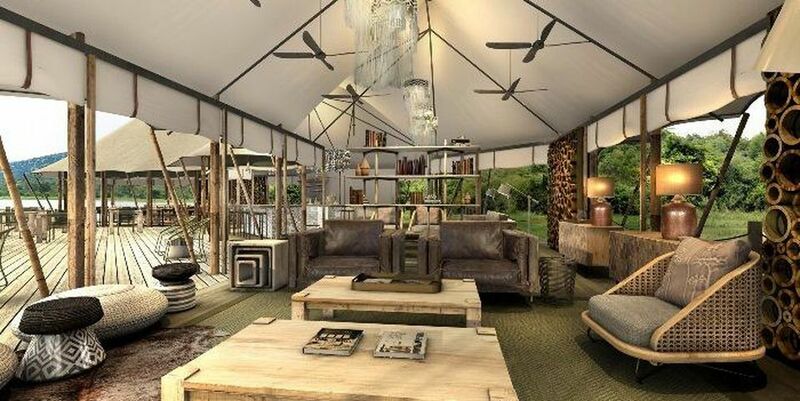 Six stunning and spacious tented guest rooms offer spectacular views over Lake Rwanyakazinga while Magashi’s main area includes a luxurious lounge, dining and bar area, wine cellar and pool, as well as an expansive viewing deck with fire pit. 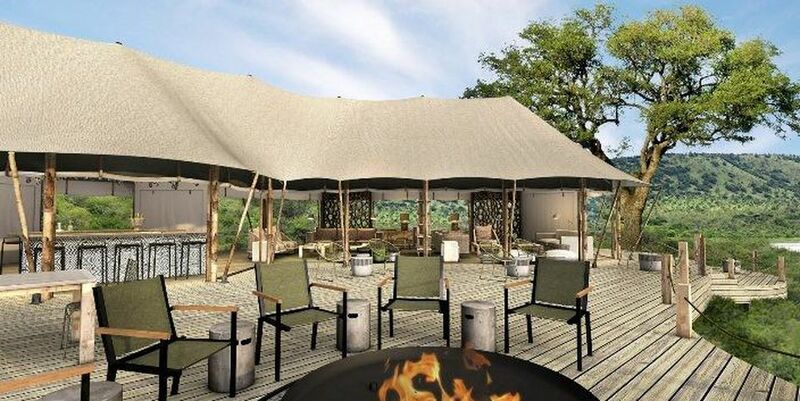 Wilderness Safaris will launch a new luxury camp, Magashi, in Akagera National Park in the late Spring of 2019. 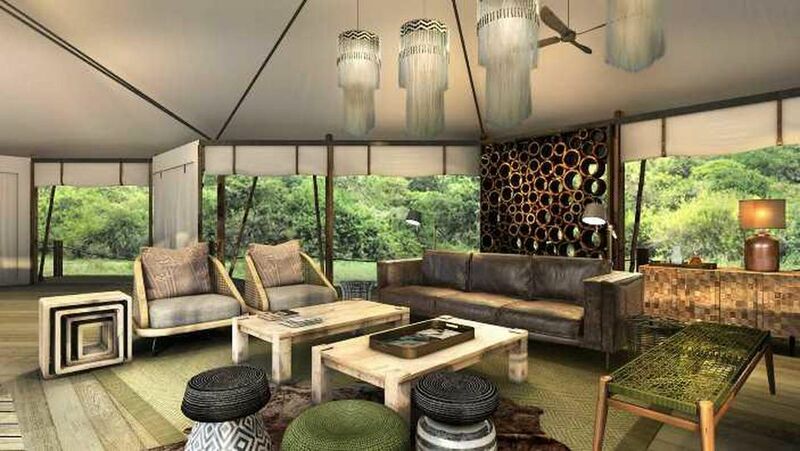 The architecture and interiors pay tribute to traditional Rwandan culture. Magashi is the only private access area in Akagera and from the property, guests will be able to view a wide range of wildlife on guided game drives during the day and at night, safari walks, and amazing boating trips. Akagera is now a safe home for Africa’s Big Five with lion, leopard, rhinoceros, elephant and Cape buffalo as well as a large, diverse population of wildlife. 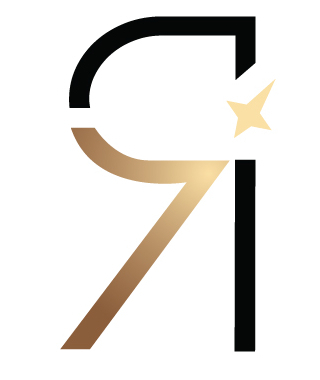 In partnership with the Rwanda Development Board and conservation group African Parks, Magashi will be situated in the north-eastern part of Akagera overlooking Lake Rwanyakazinga. The long-term funding support of The Howard G. Buffett Foundation to African Parks for the protection and development of Akagera has made the development of the property possible. The 250,000-acre Akagera National Park is located in eastern Rwanda, bordering Tanzania. It offers up some of the most spectacular savannah locations in East Africa with wide open plains, woodlands, lakes, swamp, and lush low mountains. 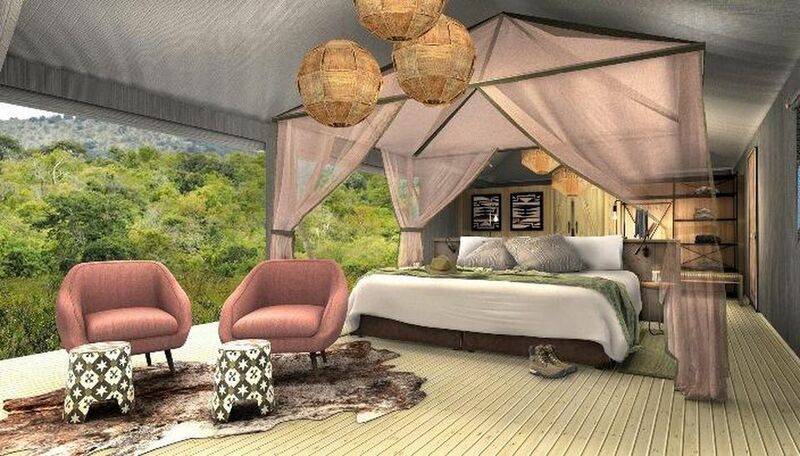 The intimate Magashi Camp will be set on the shores of Lake Rwanyakazinga – home to one of Africa’s highest hippo populations, large crocodiles, and within its wetlands the sitatunga and shoebill stork. Akagera has undergone an incredible transformation in the last eight years where poaching has been mostly eliminated, and wildlife is now thriving. African Parks reintroduced lions in 2015 after a 20-year absence and reintroduced the black rhinoceros in 2017. Guests will be able to view a range of wildlife on guided game drives to see up close buffalo, lion, leopard, elephant, giraffe, spotted hyaena, zebra and more. The Park also includes 500 species of birds including the spectacular shoebill and the rare red-faced barbet. Visitors can combine a once in a lifetime gorilla experience at Volcanoes National Park while staying at Bisate Lodge, and then continue on to a savannah safari at Akagera. Akagera has become almost 75% self-financing due to tourism, which also supports surrounding communities. According to Wilderness Safaris, more than 36,000 visitors came through the parks’ entrance last year, many of them Rwandan nationals. In a remarkable effort to support Akagera and Rwanda’s natural heritage, tourism contributes to the long-term sustainability of the area while embracing responsible ecotourism and conservation in the area. Remarkable conservation policies have been created in the area with a well trained anti-poaching force that patrols the entire park. The 1994 Genocide in Rwanda took the lives of more than million Rwandans and ultimately decimated the park with refugees eventually settling in the area with their farms. Within a few years, the park was home to more than forty thousand cattle. Once the government enabled settlers to obtain property, low tourism left the park open to poaching. In 2009 everything changed when the nonprofit conservation organization African Parks partnered with Rwanda’s development board to create a 20-year management agreement. Through this agreement, they became responsible for the day-to-day management of Akagera National Park and now the wildlife is thriving and so is tourism.